These three little words describe who we are and what we do. In fact, these words go all the way back to the very beginning and explain exactly why the Coeur d’Alene Tribe first opened a medical clinic in the community nearly three decades ago. In the 1970s and 1980s, healthcare on the reservation was nothing to write home about. Tribal members could get healthcare services at a dilapidated Indian Health Services clinic. Some tribal members have memories of seeing snow blow under the poorly insulated doors at the small clinic as they sat in the waiting room. Many people can tell stories of waiting in the long, winding line on the days the doctor came to town. If you needed anything more than basic care back then, the nearest hospitals were more than 45 minutes away on roads that were snowy and treacherous in the wintertime. Healthcare for non-Indians who lived on the rural reservation was equally as poor as the care available to tribal members. None of the ambulatory care facilities in the four surrounding counties in Northern Idaho were providing services to the medically underserved on a sliding fee basis. Many tribal members were dissatisfied with 15 years of fragmented care delivered in a semi-condemned building and with poor continuity of care. Due to the non-payment of medical bills by the IHS, tribal members were often turned over to collection agencies. Their plight became intolerable to the point that the only feasible solution was to develop their own health care delivery system. In 1987, the Coeur d’Alene Tribe began to search for ways to improve the health care services beyond what was offered at their small Indian Health Service (IHS) satellite clinic located several miles from the City of Plummer, Idaho. They came up with a plan to develop a community-based rural health outpatient care delivery system. 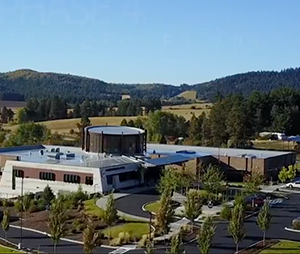 After careful deliberation, the Coeur d’Alene Tribe and the City of Plummer came up with an innovative way to collaborate on a joint venture to address the health care needs on the Reservation. 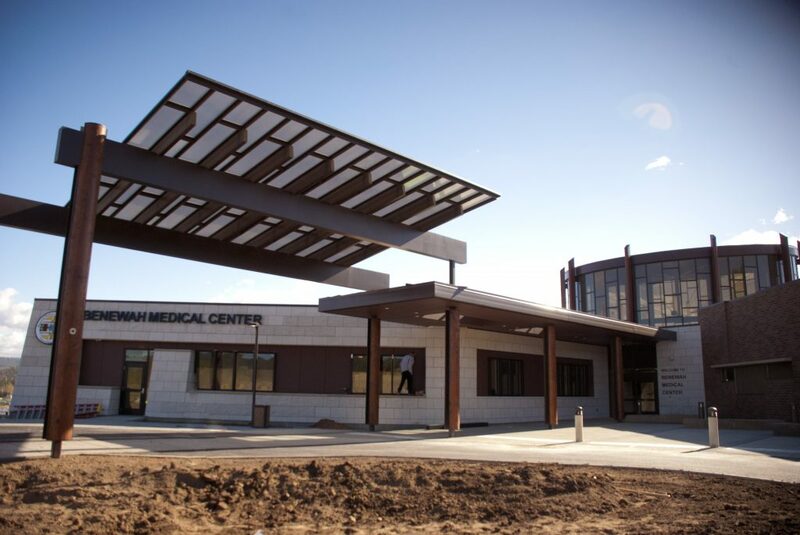 In 1990, the Coeur d’Alene Tribe opened the Benewah Medical Center, with a commitment to provide medical services healthcare for everyone who needed it, Native and non-Native alike. To this day, the clinic is open to anyone and everyone who needs it. The clinic, now known as Marimn Health, is a federally qualified community health center, which means that eligible patients can receive services on a sliding fee scale and no one is turned away.  The Coeur d’Alene Tribe has always believed in caring for the entire community and here at Marimn Health, we continue that tradition by caring for the health of everyone who lives, works, and plays in our community. Our service area includes the entire Coeur d’Alene Indian Reservation, central and western Benewah County, and rural portions of Kootenai, Latah, Whitman, and Spokane Counties. This collaboration between the Tribe and the City of Plummer is believed to be the first joint venture in the United States between a tribe and city municipality for the purpose of providing health care for all residents. 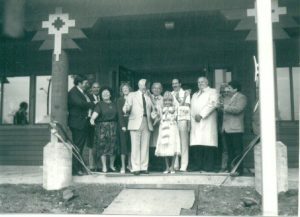 The Tribe and the City collectively secured State and Federal funding and on June 4, 1990, the 6,750 square foot Benewah Medical Center opened its doors. This building became known as Phase I in the development of Marimn Health complex, and established primary medical care and address the acute health care needs of the local community. There was a strong demand for services and almost immediately the Tribe began to work on plans for Phase II, which expanded the facility to nearly 17,000 square feet. This expansion opened in February of 1994 and provided additional medical exam rooms, a five chair dental wing, and increased space for pharmacy services, counseling, community health programs, and administrative offices and conference rooms. A significant achievement in these processes was Marimn Health’s ability to obtain a Medically Underserved Population (MUP) designation from the Idaho Governor’s office and acceptance from the U.S. Public Health Service, Division of Shortage Designation. Since 1994 the Medical Center has received limited funding from the Bureau of Primary Health Care as part of its Community Health Center Network organizations. This allowed us funding to continue providing care on a sliding fee basis. Currently 30% of our patients qualify for our sliding fee program. With the health care industry moving toward a prevention and wellness focus, the Tribe advocated for a multi-purpose Wellness Center. Planning and fundraising efforts began in late 1994 to construct a 43,000 square foot, $5 million dollar Wellness Center. The Tribe successfully reached its goal to open a center which would expand its focus from acute and chronic illness care to include one of prevention, wellness, and health maintenance. This Wellness Center was built debt-free from a variety of funding sources including Federal, State, private and Marimn Health equity. Tribal gaming revenue was not used in this project. On July 18, 1998, the three and one-half year dream in planning that took ten months to build, became a reality. Programs and services include a five- lane 100,000 gallon lap pool, therapy pool, hot tub, kiddy pool, and physical therapy. A full-size basketball and racquetball court, indoor walking track, aerobics room, community health services and health education, day care, and conference rooms completed the Wellness Center. This project had significant potential in terms of overall community health and wellness with the connections to an ambulatory care facility. These are remarkable achievements in light of the fact that none of the current and future services were in this community prior to June, 1990. The Wellness Center’s highly trained professional fitness staff provide up-to-date wellness information, complete fitness assessments and individualized exercise programs. Innovative pool programs include a wide variety of classes that draw from swimming, aerobics, dance and circuit training to provide a stimulating workout. Different teaching styles range from high intensity to a softer, gentler offering for the beginner or injured individual. 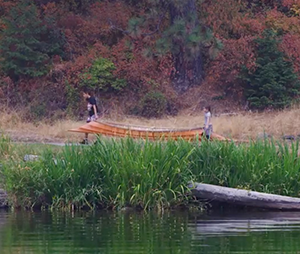 The Coeur d’Alene Tribe has successfully integrated primary health, prevention, and wellness care into an exemplary progressive service institution for nearly 30 years. Over the years, our facility has undergone numerous expansions and remodels to keep up with the demand for services, with the goal of continuing to deliver a high standard of health care that the community expects and deserves. A new facility that would bring all of Marimn Health’s clinical and administrative services under one roof was a dream for many years. In August 2010, the Coeur d’Alene Tribe was one of a few tribes in the country to receive a grant for new facilities from the Health Resources Services Administration. The $11.8 million grant will cover a large portion of the $17 million project, with $2.4 million in additional funding from the Tribe and $3.1 million contributed by Benewah Medical & Wellness Center reserves. The grant funding enable the construction of the building to be completed while incurring no debt. On October 19, 2012, the dream for Phase 4 became a reality with the opening of the new 50,000 square foot, state-of-the-art medical facility, equipped with the latest technology to enhance the continued provision of medical, dental, pharmacy, lab, x-ray and counseling services. In addition, the medical center will continue to provide community health and wellness services. 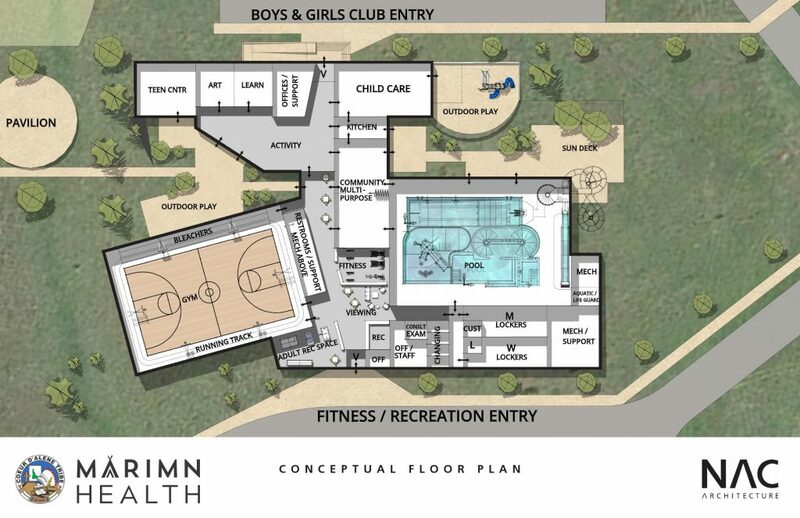 In October 2018, the Coeur d’Alene Tribal Council gave the approval for Marimn Health to construct a new Youth and Family Recreation Center on the Coeur d’Alene Tribal Reservation near the town of Worley, Idaho. The primary goal for the new building is to give the youth and families on the reservation a safe place to gather, learn, and have fun. “There are many important needs in our community, but none more pressing than preserving and protecting the health and safety of our youth. As the saying goes, an ounce of prevention is worth a pound of cure, and investing in our youth is an investment in the future of the Tribe,” said Ernie Stensgar, Chairman of the Coeur d’Alene Tribe. Last fall, Marimn Health partnered with the Boys & Girls Club of Kootenai County to bring Boys & Girls Club programs to the Coeur d’Alene Reservation on Friday and Saturday nights. The partnership has been a resounding success but the program has already outgrown the space provided at the Marimn Health Wellness Center. 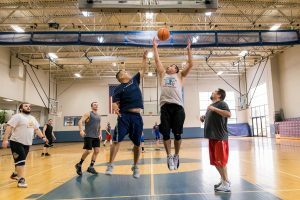 From October 2017-May 2018, 164 kids signed up for and participated in the Boys & Girls Club programs– 125 of whom are Native American. The new building would provide a dedicated space for youth programs like the Boys & Girls Club to expand operations and accommodate additional activities. The building is being designed by NAC Architects and has a preliminary budget of approximately $15.8 Million. The facility will be built on tribal land and will be owned by the Tribe and Marimn Health. The plans are still in the early stages and the project is not expected to break ground until 2019. The current design of the building includes a family waterpark, including a waterslide and indoor splash pad, children’s water toys, lazy river, lap lanes, and water climbing wall; outdoor sports fields, including a basketball court, softball/ baseball, and football fields that can double as powwow grounds; outdoor playground for kids and pavilion and picnic area; fitness equipment and areas; ample dedicated space for youth programs, including Boys & Girls Club programs; adult recreation and hang out space; and child care. More information about the plans can be found on Marimn Health’s Facebook page. We are a Health Center Program grantee under 42 U.S.C. 254b and a deemed Public Health Service employee under 42 U.S.C. 233(g)-(n).